We have had some really wacky spring weather here in Virginia. I get most of my planting in before April 15th. Not this year. I still have not planted anything. 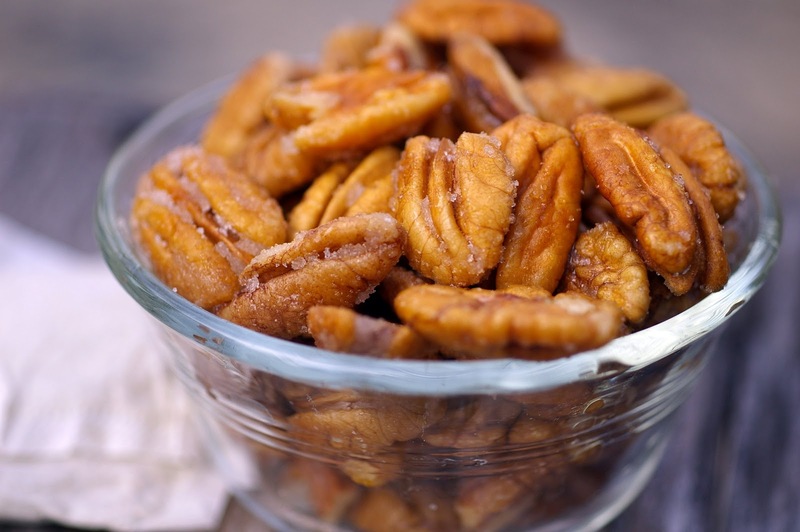 Did you know pecans are now in season? That is why I decided to try this recipe. These are really addictive and I couldnt eat just one. I dont know why I didnt come up with this earlier. I love Chai tea and pecans. They are a wonderful combination. I bought some Chia tea bags and opened them. I then processed them in my grinder. I used just one tea bag. I saved the rest to actually make Chia tea. Be on the lookout for a post about that later on. Line a baking sheet with foil. In a large bowl add sugar, tea, salt, egg white and water. Let stand 10 minutes for the sugar to dissolve. 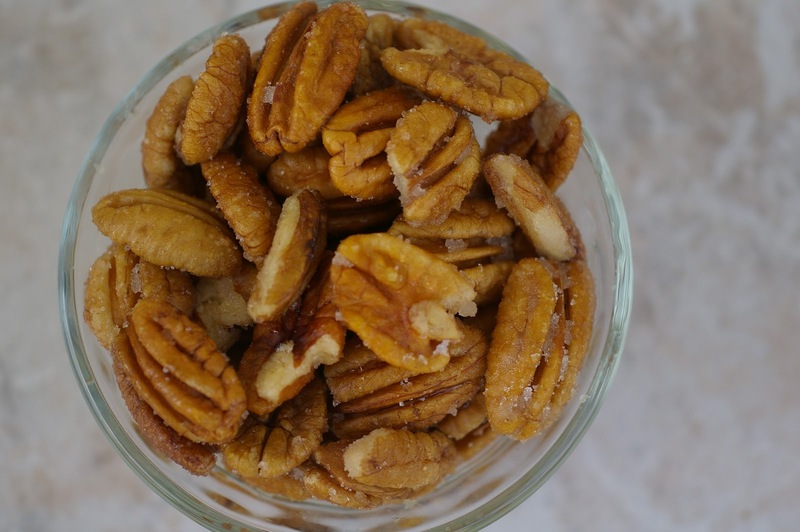 Add pecans. Transfer to baking sheet and bake for 35 to 45 minutes. Store in a airtight container. I did do my planting already and regretted it after that frost warning the other night. Luckily, everything was close enough to the house that it didn’t die. Crazy weather we’re having, isn’t it. I’d love to sit down for an afternoon get together with a batch of those pecans between us while we chatted. 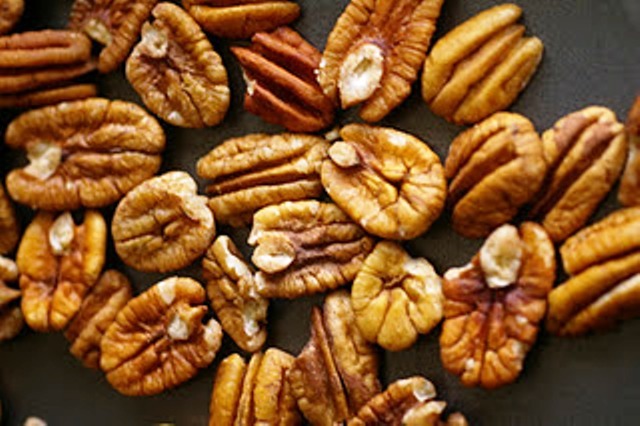 I love pecans as well and adore any kind of seasoning on them. These look fantastic. These sound delicious and addictive! Spring has been strange here in Kansas, too. From snow the first days of May to record 95 degrees two days ago. Crazy! I love these and I have pinned this for the holiday season. 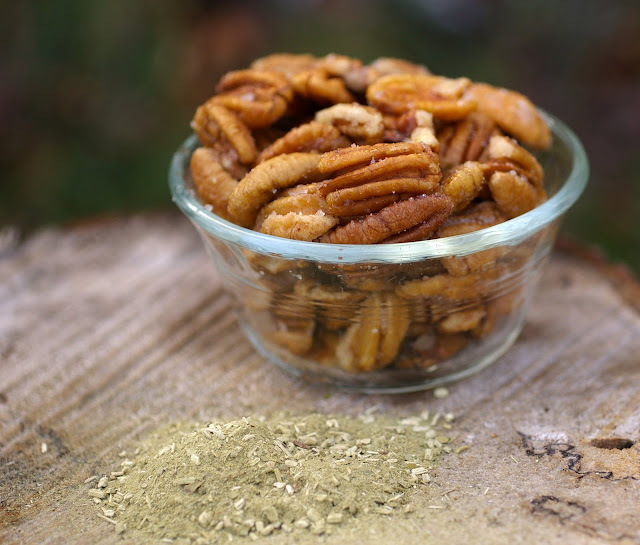 Love toasted pecans and these sound delicious seasoned with Chai. I’ll give it a try next time.